I Never Talked About It … | Miracles! Your Center for Well-Being Inc. I appreciate your kind reflections Leona … thank you. 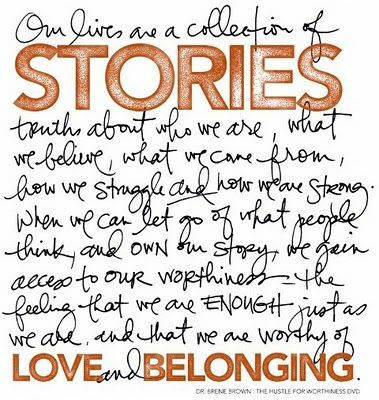 I truly hope it does resonate with others … and …encourage folks to seek out a safe place to share their stories. I so enjoyed reading your blog, Karen. It is so easy to read but has a lot of depth and so much wisdom, you are truly gifted. It is so wonderful that you take time to share that gift. Lol well this Karen. It gave me so much peace to read this and parts of it really landed with me. Beautiful Karen….thank you for continuing to share your story….and for reminding us that our stories do matter. From someone who has the tendency to minimize and discount past experiences (and unwilling to take up a lot of space), I have learned that by doing the work, with the help of friends who are willing to explore our stories with us and with the guidance of an incredible coach, that there are many gifts in the challenges, if only we give ourselves permission to talk about them! Your willingness to share is inspiring, my friend! Beautiful, loving, healing, tender and inspiring…. only some of the adjectives that come to mind after reading this blog. ummmm thought of another one POWERFUL! How sweet it is knowing that we truly are never alone in our journey and that through one’s life challenges we have the power to continue healing and help ours heal through our stories. Sending you much love, hugs and continued “healing” love you! Trackback: Suffering in Silence … | Miracles! Your Center for Well-Being Inc.